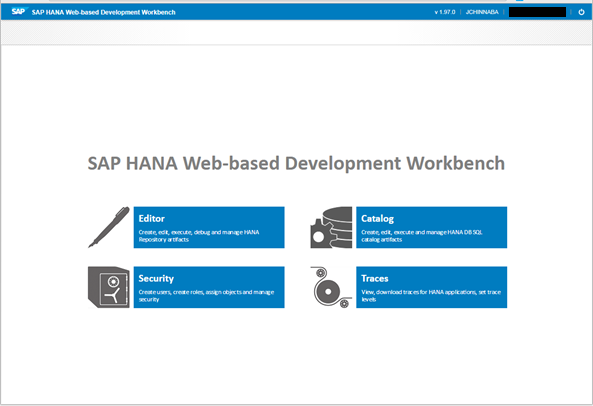 SAP Web IDE for SAP HANA is a browser-based IDE for the development of SAP HANA-based applications comprised of web-based or mobile UIs, business logic, and extensive SAP HANA data models. Designed to support developers who use SAP HANA and XSA, SAP Web IDE provides a variety of tools, such as syntax-aware editors for code and SAP HANA artifacts, graphical editors for CDS data models and calculation views, as well as inspection, testing and debugging tools. 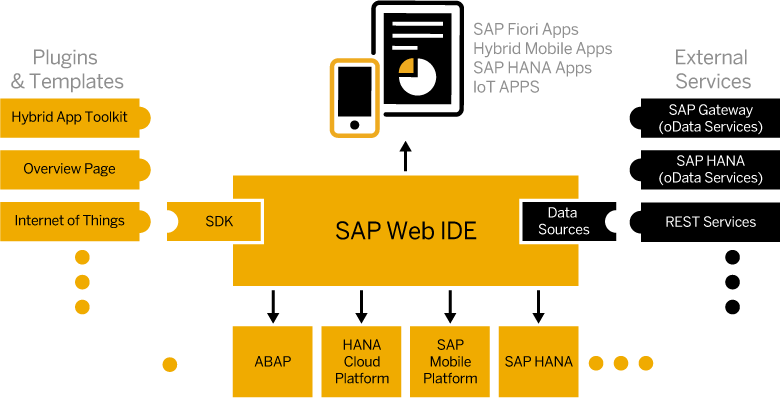 SAP Web IDE is integrated with the SAP HANA Runtime Tools, the SAP HANA deployment infrastructure (HDI), the Application Lifecycle Management tools (ALM) and the XSA runtime platform. SAP Web IDE for SAP HANA is a comprehensive browser-based IDE for the development of complex applications comprised of web-based or mobile UIs, business logic, and extensive SAP HANA data models. 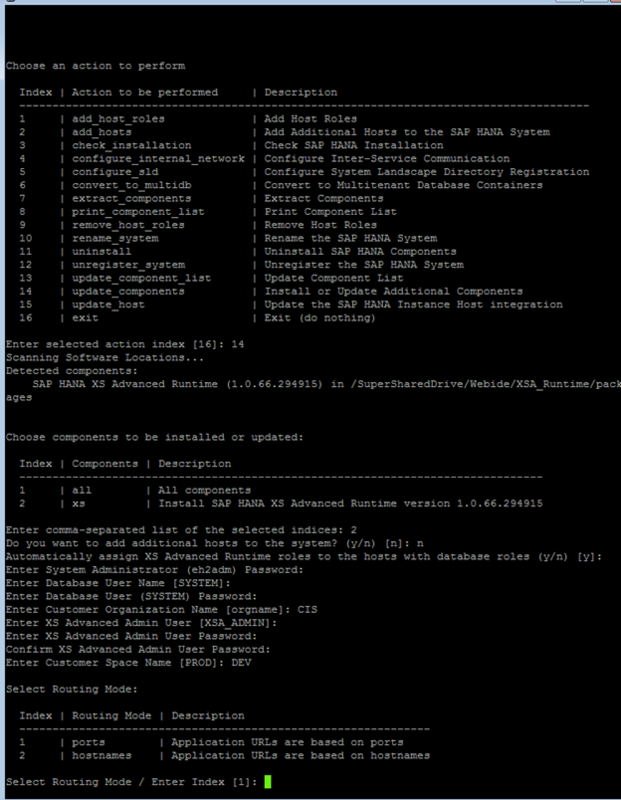 the runtime platform of SAP HANA extended application services, advanced model (XS Advanced). 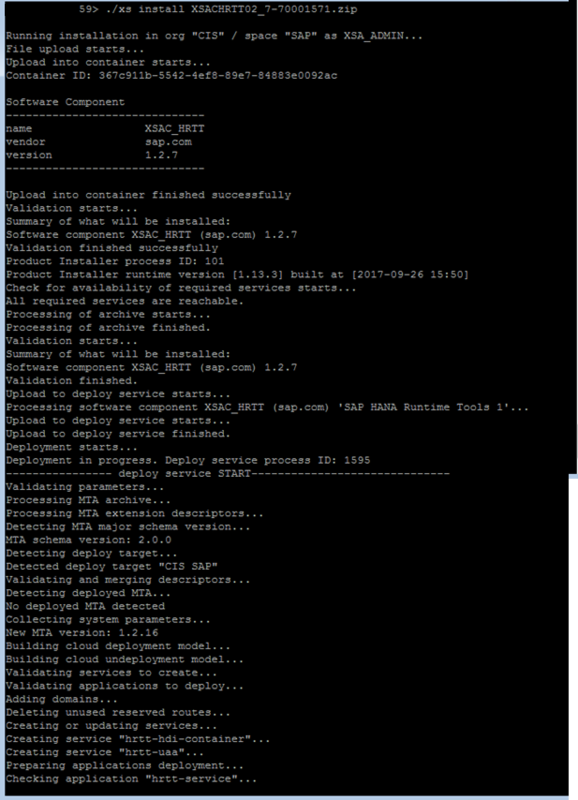 And a config file sap-xsac-di-<version>.mtaext, which is a configuration file required for installation and for customizing the environment. First we need to download & move the SAR file to /hana/ directory at OS level. 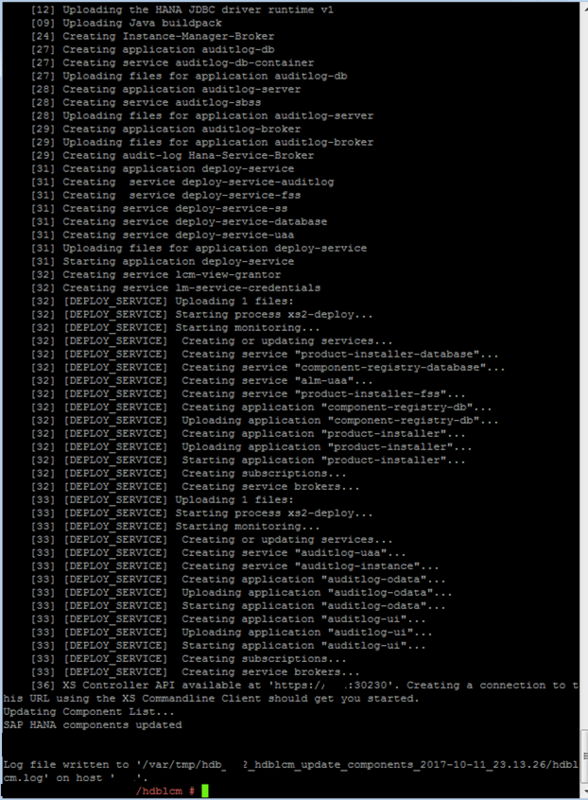 Go to hdblcm and run command as shoown in the screenshot. 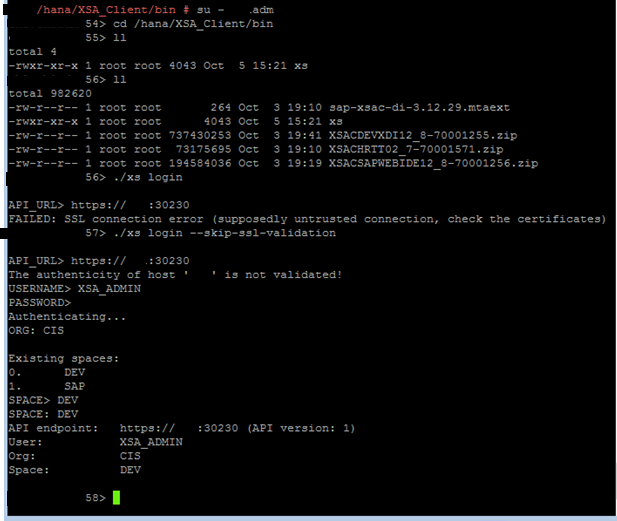 Once installed,launch SAP HANA XS Advanced Runtime API available at https://<hostname>:30230. Now download XSA_Client zip file (XS_CLIENT00P_66-70001320.zip). 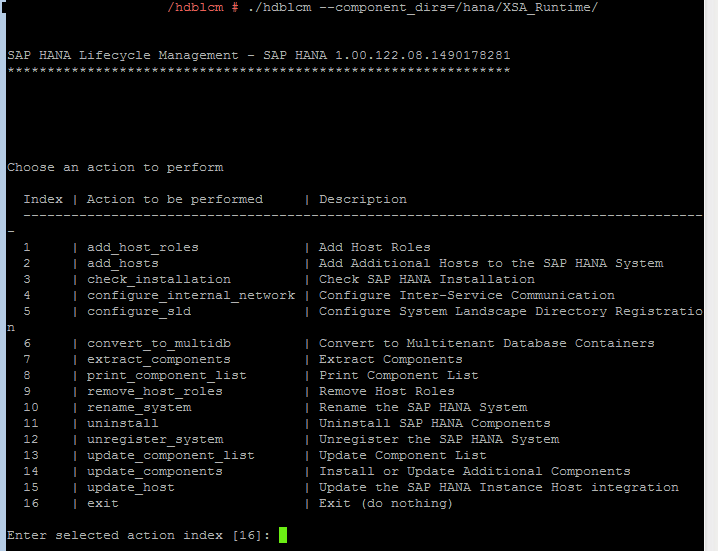 Move to /hana directory and extract it under XSA_Client directory. In the above screenshot, you will notice an error for SSL Connection error. You can skip that validation by using the command –skip-ssl-validation. 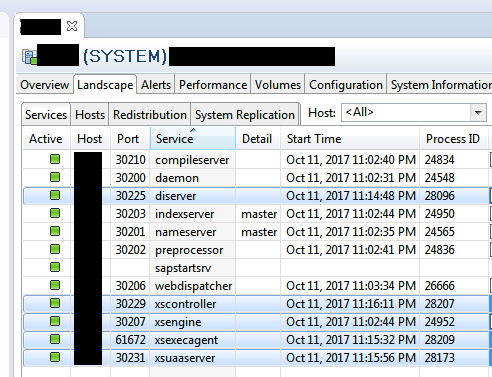 Please note if you are using reverse proxy of sap webdispatcher, kindly add the rule /sap/watt in your filter rule files. 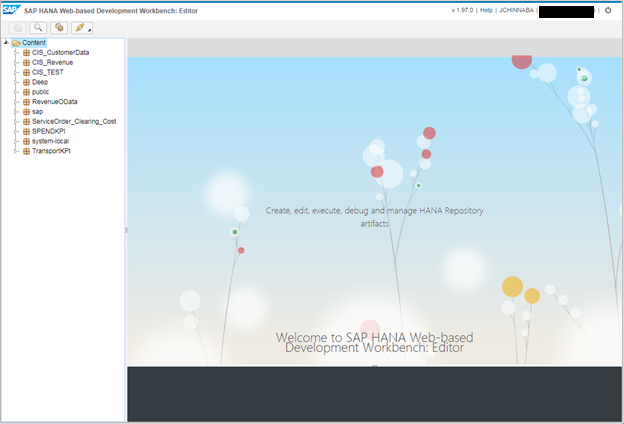 Otherwise you will see blank screen when you try to hit the url https://<hostname>/sap/hana/ide for SAP HANA Web-based Development Workbench. You can assign these templates to existing role collections, or role collections that were newly created for this purpose. 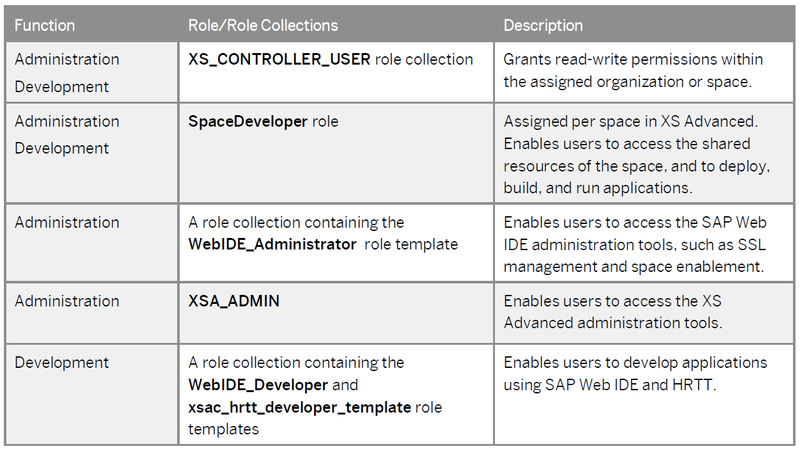 If you already have role collections for administrators or developers, assigning the supplied templates to these collections grants the relevant SAP Web IDE permissions to the respective users. Alternatively, create dedicated role collections for SAP Web IDE users. Then assign the role collections to the relevant users. Perform these tasks in the Application Role Builder tool available in the XS Advanced Administration and Monitoring Tools. To access this tool, you need the authorization scopes defined in the XS_AUTHORIZATION_ADMIN role collection. 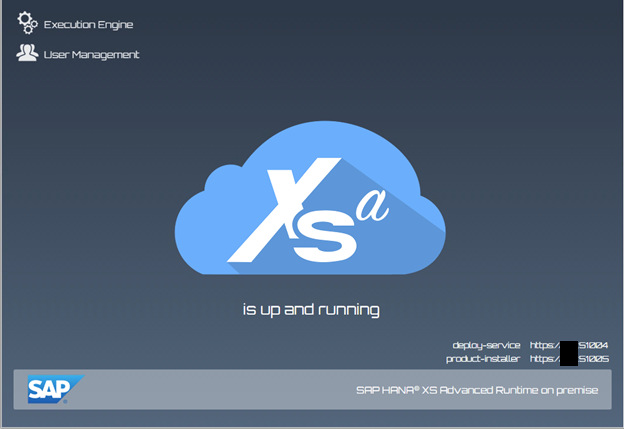 In the XS Advanced Administration and Monitoring Tools, open the Organizations and Space Management administration tool, and create the spaces required for your development teams. To enable users to develop applications with SAP Web IDE for SAP HANA, create the necessary SAP HANA database users and assign them to the development roles, as described in Roles and Permissions for Administration and Development. SAP Fiori & HANA Certified.